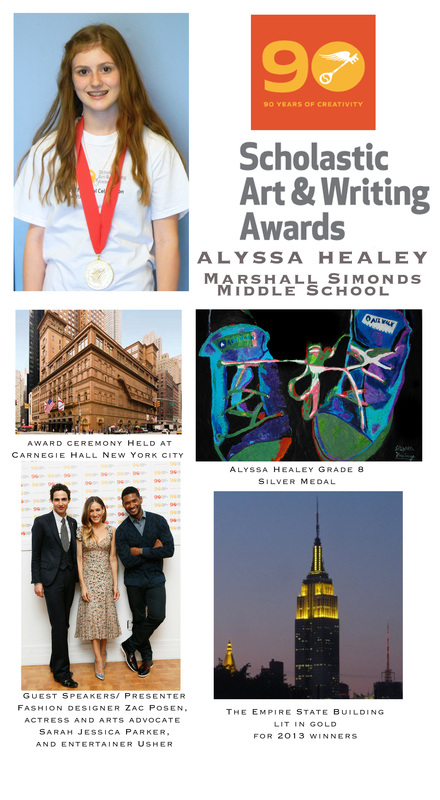 On Friday, May 31 at Carnegie Hall, actress and arts advocate Sarah Jessica Parker and fashion designer Zac Posner shared the spotlight with the talented teens who received national honors in the 90th annual Scholastic Art & Writing Awards. More than 800 teens from 47 states, along with their families and teachers attended the celebration. While there, 15 graduating seniors received Portfolio Gold Medals, the Awards’ highest honor, which included a $10,000 scholarship. For the first time in its 90-year history, the ceremony will be webcast live so people across the nation can share in the celebration. Sarah Jessica Parker congratulated the students and offered words of encouragement. “It takes courage as well as talent to step out as a writer or an artist, and I’m delighted to have the opportunity to personally congratulate these outstanding teens,” Ms. Parker said. “Finding out that people other than your parents and your teachers truly believe in your work can validate the courage these teens have shown in presenting their work to the world, and help to carry them forward into their lives and their careers.” Students were given a special surprise, when recording artist Usher took the podium to congratulate them on their success. His message “savor this moment” resonated with students, many of whom will be heading off to college to pursue a study of the arts. Congratulations to our 8th grader, Alyssa Healy, who won a Silver medal at the National level. It’s fantastic to see such talent at such a young age, well done to everyone involved! Clearly an enriching experience in the development of art.